Neutral site game played at Legion Field due to weather. BIRMINGHAM, Ala. – A hard-fought battle that could have gone either way just didn’t end in favor of Alcorn State University. Florida International University ended up on top 17-10 at Legion Field in a neutral site contest Friday evening. The Braves (1-1) trailed 10-7 late in the fourth quarter when sophomore kicker Corey McCullough drilled a 49-yard field goal to tie the game 10-10 with 3:54 remaining. It marked the second-longest field goal in school history behind a 50-yarder by George Green Jr. in 1984 against Alabama State. FIU (1-1) responded with a seven-play, 80-yard drive for the decisive 17-10 score. The big play was a 40-yard pass from Alex McGough to Julian Williams. The Panthers scored on a one-yard quarterback sneak by McGough with 1:12 remaining. Alcorn had one last chance as senior quarterback Lenorris Footman connected with sophomore Tavares Johnson at the FIU 45-yard line with 12 seconds left. The Braves could not get any closer, however. Alcorn attempted a last-second Hail Mary that fell incomplete along the right sideline of the end zone. Footman passed for 191 yards and a touchdown and also rushed for a team-high 56 yards. Senior De’Lance Turner tallied 34 rushing yards on nine carries. This game week was anything but normal for the Braves. The game was moved out of Florida due to Hurricane Irma and shifted from a Saturday game to Friday. On the way to Birmingham, a bus carrying members of the football team was involved in a minor accident. 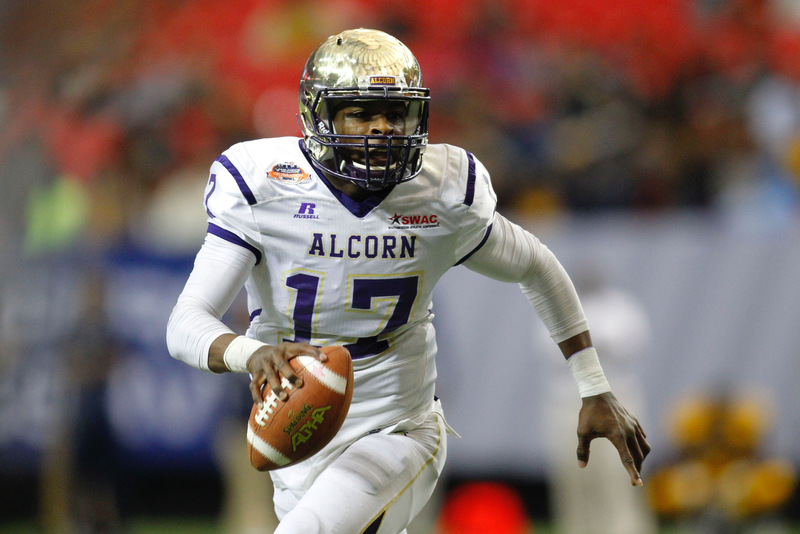 Alcorn is back in action next Saturday at home versus McNeese State before they begin their SWAC schedule.